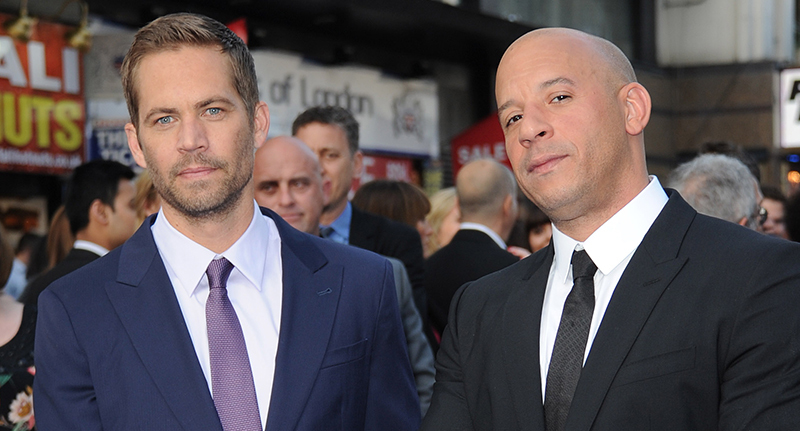 It’s been two-and-a-half years since we tragically lost Paul Walker, and his Fast and Furious co-star Vin Diesel has posted another emotional tribute to his late friend. Diesel, 48, is currently shooting Fast 8 and he posted a message on his Instagram page from the set of the film, sharing a touching account he had with one of the crew members. And this one will definitely hit you right in the feels. Two days prior to this, Diesel also posted a video to his Instagram account to share his thoughts on filming the latest installment of the Fast and Furious franchise without Paul Walker. Coming into shooting Fast 8, I knew that it was gonna be a darker road. It’s amazing how regardless of how successful you are, that you have to go into a dark place to channel a character — to feel a character. So, I’m grateful that I have this gym here to escape and kind of balance my emotions, so that I can be effective but try not to take the pain with me. Fast 8 is due for release in 2017, with Diesel set to be joined by stars including Dwayne ‘The Rock’ Johnson, Charlize Theron, Scott Eastwood, Tyrese Gibson, Michelle Rodriguez and Ludacris.